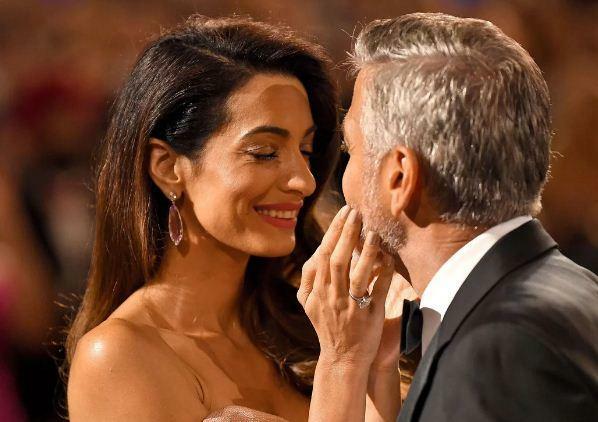 George Clooney arrived with his wife Amal Clooney at a celebration in the actor’s honor. 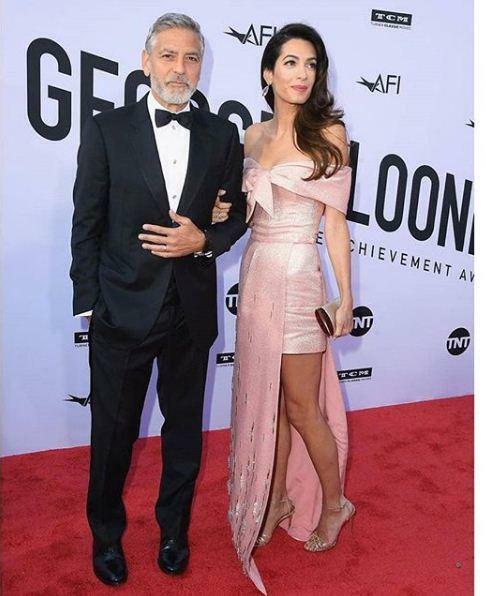 Amal and George got married in September 2014, the couple arrived at AFI Life Achievement Award Tribute special in Los Angeles on Thursday. After attending the royal wedding of Prince Harry and Meghan Markle, this was Clooney's first public appearance. The couple didn't hide love for each other, while congratulating George, she planted a sweet kiss on his lips. Even the crowd gave the couple a roaring applause when they smooched. George's father Nick was also present at the occassion along with their famous friends Jennifer Aniston, Cate Blanchett, Don Cheadle, Courteney Cox, Jimmy Kimmel and Bill Murray. George was praised for Roseanne and Facts of Life to winning Oscars for Best Supporting Actor for Syriana (2005) and Best Picture for producing Argo (2012). The AFI event took place one day after, he and Amal marked the first birthday of their twins Ella and Alexander. He also shared excitement about Father’s Day coming up. “The kids are making me a cake already and they’re working on a card already,” the father of two joked. “It’s gonna be fun, I’m excited,” he added as Amal remained tight-lipped about the plans for June 17. “It’s gonna be a surprise,” she said. The 46th AFI Life Achievement Award: A Tribute to George Clooney airs on Thursday, June 21, on TNT.